Looking into hair care trends and future, one can easily say there is a huge potential in hair care product business. Do you want to start your own business? Would you like to know how to start a hair care product business? You might want to know what are the pros and cons in starting a hair care product business. Men and women alike are fascinated with everything that is beautiful and strive to be beautiful themselves. This is the reason why retailing cosmetics and hair care products makes for a good business idea. Experts say that this industry is expected reap in profits of up to 5% each year for several years to come. 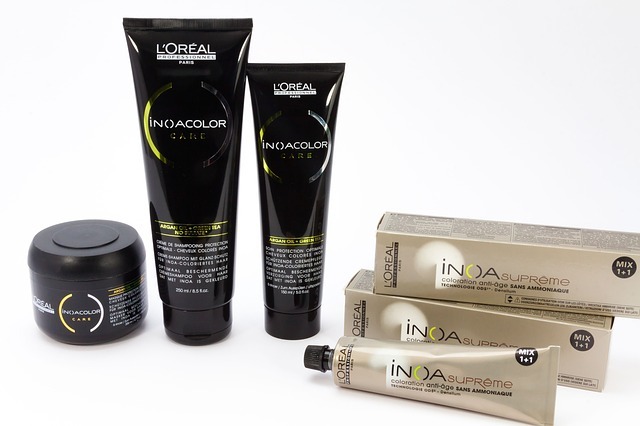 At present, almost half of the hair care products on the market are being sold by major retailers. While the remaining half is divided among the independent businesses. Considering the brevity of this market, rest assured, a new player would find no trouble in finding a niche for himself. All he has to do is study the market and the potential clientele of the area. This is encouraging news indeed especially if you have aspirations of building your very own hair care product empire. But how does one go about starting a business like this? Primarily, you have to choose what line/s or brand/s of hair care products to sell. Are they for women, men, or both? Are they for kids, adults, or both? Note too that geographic segmentation is a vital factor in the hair care business. You must identify which ethnic distribution is prevalent in your target market area. Subsequently, find out what ethnic specific product line would satisfy this groups hair care concerns. The number of manufacturers remains wide and varied. The key here is to find distributors that offer products that best meet the needs of your target consumers. In selecting a supplier, make sure that the company is stable and its products have a good reputation. In order to adequately market your products, you need to develop a distinct selling point. Spend some time analyzing what makes your products different from the others. Setting your product apart from the rest will give you an edge and will markedly increase your potential for success. There are countless ways to promote your products. There is the direct mailing for one. Or if you have the funds, you can go for media advertising. But remember, you need to take into consideration, the lifestyle of the market that you wish to cater too. For example, if your target market is teenagers, placing an ad in a newspaper would a useless move since generally teenagers rarely read the papers. Make sure that you set an appropriate price for your product. If it is too expensive, chances are, you will lose a number of consumers. If on the other hand the price is too low, then you will limit the profit potential of your business. And lastly, no matter how catchy your sales angle is or how extensive your promotional campaign has been; if you canâ€™t get your products out on the racks, then your business is doomed to head south. Find stores and salons that you can team up with and that would let you sell your products on consignment basis. If your funds permit, you can rent a kiosk in the mall. Another option is the internet. Do you know how to start hair stylist business? You have to possess talent, skills, and knowledge in running this type of business. Begin with a plan of action. Are you passionate in starting your own hair extension business? Now, you will be able to learn the steps and expert tips on how to start a hair extension business! HI I am wanting to start an online store for these new hair care products I just found and want to be the first in my area to introduce it. I know I would sell a lot but, I need start up capital for the products,advertising, business licenses, permits, dba, etc. Hi, I would like to be a distributor of hair care products, Can you let me know what I need to do this? I would like to have an online store as well. I have the name of the line and so many ideas but have no clue on where to start as far as the ingredients and how to make the products. (I know - The most important thing I need! )I know it will be time to hang up my shears eventually and I am ready to take the risk of a new business! Any suggestions? Greetings All! My name is Deloris and I own a small bath, body, and spa product business. I also have a natural hair care line called Tropical Radiance. These products are made from raw ingredients (mango butter, macadamia nut oil, coconut milk, etc.) and natural fruit and flower essences. They are excellent products for restoring health to damaged hair and hair that is very course, so most of my clients are African American, Hispanic, or of some ethnic origin. If you any of you are interested in carrying these types of products in your salon or spa, or if you are interested in being a distributor, please be in touch with me so that we can talk further. My website address is www.dcfragrancecenter.com. I look forward to hearing from you! I am opening a new salon promoted primarily to children and I am interested in producing a line of tear free products to retail sale in my salon. I have no idea on where to start with ingredients nor production. Please help. I would love to have products for all ethnic of kids. Where do I find the products to put my salon label on? I'm hoping to open my doors by April 1, 2009 but have no idea where to start on this project. Thanks for any help you can offer. Hi, I have some ideas as to enhance some hair products for weaving as well as inventive ideas as to create weaving products but I don't know how to do anything with those ideas as far as who and the where to take the ideas as well as marking them as my own so that if shared someone else couldn't profit from my idea. Can you help me with some direction? Hi! My name is Sylvia and I want to make a line of hair care products starting with shampoo's and conditioners. I'm very much into haircare however I can't figure out what steps I need to take to achieve these types of products. When ever I look it up on line I only come across do it yourself remedies for @ home. If you have any information where to begin and achieve my goal it would be greatly appreciated. Hello, I would like to tell hair products but i have no idea on how to find vendors and suppliers for black hair care products. I would like to get hair weft line package with my name on it. I need to find a hair weave manufacture, any idea? Hi! My name is Brian Abram and I am interested in starting a line of black hair care products, facial cremes, lotions, and soaps. The brand will be called a'KellyBee's. Any advice or suggestions of getting started in this business? Hi I am starting a line of hair care products as well, but for the time being I have only one product, should I wait and try to produce at least two products or do you think I can penetrate the market with one product? I am looking at a niche market in natural African-American hair in particular dreads and cornrows. I STARTED A NEW BEAUTY SUPPLY BUSINESS. NOW I AM IN NEED OF WHOLESALERS TO PURCHASE MERCHANDISE FROM. THERE IS SO MUCH I STILL NEED I DON'T KNOW WHERE TO BEGIN. I AM VERY CONFIDENT THAT MY BUSINESS WILL PROSPER I JUST NEED INVENTORY AND LOTS OF IT. PLEASE HELP ME SO THAT I CAN HELP YOU. THANK YOU VERY MUCH. I'LL BE WAITING TO HEAR FROM YOUR COMPANY. ONCE AGAIN THANKS. I need to know where to get wholesale products for things such as wigs, hair weave, hair care products, perms, colors, purses, shoes, bath stuff etc. Please email me. Hi, I'm looking for information in starting my own hair care product line but I don't know where to start, can you help me? Seams I have the same question as everyone else. I want to start my own organic hair product line for curly kids. I have no idea how to formulate a products and who to go to create one for me. I have a name for the product and everything and I just can't find any info that isn't "shady". Can you refer a company someone with product already waiting for purchase? I have the idea and the target audience. I want to make a hair product for curly girls and women. But as far as actually producing the product itself, where can I get this done?? How do I put together the ingredients?? I also want to start my own hair products I would like to know how would I get started and who to talk to ??? I am looking to start my own line of hair & body products, but I have no idea about creating the product itself. What should I do or need to know to make this happen. hi, i would like to start a line of hair products. i don't know how to turn them into actual products themselves. umm ya do you know how? Hi, I would like to start a hair product shop selling weaves, wigs, hair products, and so on. Please I would appreciate if you can give me tips and ideas on how to be successful in the business. As well as where to find manufacturers and suppliers. Hi I am at the start of researching on how to start a business selling lines of weave, wigs and hair care products, and supplies. How do I even begin with building this future empire of mine? I work as a secretary in the medical field and would love to get out of this and run my own baby. If anyone has any kind of information for me please inform me I would greatly appreciate it!!! HELLO, I'M GOING TO START MY OWN HAIR LINE PRODUCT. BUT I DON'T KNOW WHERE TO START FROM. CAN YOU PLEASE TELL ME HOW TO GO ABOUT DOING THIS. IF ANYBODY CAN HELP ME OUT PLEASE CONTACT ME AT VONDABLESSINGS@YAHOO.COM THANKS SO MUCH! Hello, I am in the beginning stages of creating my hair weave line and I am wondering where would I need to go to in terms of packaging. Logo, picture, etc. Where would I need to go to get that kind of help? I am interested in starting a hand/homemade natural hair/skin care products that are for men, women and children. Focusing on hair growth, health, preventing loss and repairing damaged, dry hair. Currently, I am conducting research for product recipes. I already have the name but what I wanna know is, will i need a license to operate being that this products are from the kitchen and not chemically produced? Would like information on how to start my business selling hair product-need to know where I can buy name products? Pls I would like to open an online hair business for both African Americans and Europeans. I am interested in selling wigs, weaves, braid extensions etc. Can someone tell me what I need to do to be successful on it? Hi I have begun on the journey of creating my own natural hair shampoo and conditioner. I have found a company that provide the raw ingredients but need to know the legalities behind either blending my own shampoo or rebranding shampoo as my own. Any info would be great . I am in the process of making a great leave in conditioner. I used it on my hair and went without putting a texturizer in my hair for five months. My daughter also screams when I comb her hair and now I am able to comb through her with ease. I want to be able to put this product together but I don't know where to start. I am interested in starting an online business selling natural hair care products, anyone out there with a product looking for help selling? Hello all, my company produce's a variety of soap, shower and bath products from Shampoo's, Conditioners, Shower gels and Bath foams, we do everything from Formulas ( if you have a registered formula of your own you can use that or you can use one of our existing ones) ingredients all the way up to the end product bottling and labeling. Our minimum orders are usually no less than 2000. Email address is: philip-alyan@hotmail.co.uk. I wish you all the best of luck in having your own hair care brands and businesses! Hello, I have created a natural hair care line for Natural men, women and children and would love information on how to grow my small business. It is targeting African American women who wear their hair natural. Any ideas on how to sell but still remain true to my passion. Well I am also looking for help in formulating a certain type of hair product and what is the most profitable method to start up my business...please help...thank you so much! Hello. I'm looking to start my own wig label and weave line. Can you please point me in the right direction? hi, planning to run my business in chicago, il, usa. i have the ingredients of what i want in the product, but i don't know how to get started at all. Need to no how to start and online hair care product business for home base business and the cost for a first class web page program. Washington, DC. Hi planning on start an all natural hair care line. Please tell me where to look for started up money. In Kansas City, MO. I have made my own all natural hair products at home for myself....I am in need of info on how to extended the self life so I can retail them to the public. Also, I need info on how to start-up my online store for the products. We are starting a hair care product line for natural hair based out of New York. should you be interested in investing please let me know. London, England. Hi! My name is Vanessa and I want to make a line of hair care products starting with shampoos, conditioners and moisturizers. I'm very much into haircare however I can't figure out what steps I need to take to achieve these types of products. When ever I look it up on line I only come across do it yourself remedies for @ home. I need to know where the manufacturers are. If you have any information where to begin and achieve my goal it would be greatly appreciated. San Mateo, California, USA. I'm interested in opening a store front to sell hair weaves, hair pieces, wigs, etc. as well as create an e-commerce site. I have a background in marketing and public relations, but have no experience in the hair care business. I would appreciate any information and or suggestions you can provide. Like so many African Americans these days, I have recently become all natural as far as my hair goes. I love being natural, but am having a hard time finding natural, safe products to use in my hair. I've started to make my own. I'm ready to start a small business or online business selling these products. I would love advice on how to achieve this. Please, help me with this dilemma. Any advice would be greatly appreciated. Feel free to email me anytime. Hello. I am an african-american woman who has natural hair. For a few months now, I have been making my own hair products because the organic store brand are too expensive. So, I decided to make my own. Now, I am interested in starting my own hair care line. Any advice would help. Thanks. I AM LOCATED IN SOUTH AFRICA, IN THE PROVINCE OF KWAZULU-NATAL, IN A TOWN CALLED STANGER. HALF WAY BETWEEN DURBAN AND RICHARDS BAY. Hi, I am looking to start a hair care line for women. I am just at a loss where to start. How do I get the formulations together and decide on the best ingredients. How do I get in touch with labs that can create the products I am thinking of? Otherwise some advice on starting an online beauty supply store would be great!Please email me!! I am seeking information about starting a home hair distributing business. I reside in Philadelphia, Pa. I need help in this process of exporting/importing. Looking for reputable companies. My address is hair4ubydenise@aol.com. I live in riversider california. I want to start a beauty care business. For people ages 14 to 49. Prefer black products. Hi I would like to start my own natural skin care products and natural hair care products. Can you please help me to contact a dependable chemist or a dependable laboratory who can help me start this business. I'm also interesting in starting a natural hair care product line that is paraben free(shampoo, conditioner, hair oils..etc). I need help finding a reputable contract manufacturer who deals with small business. Hello, am closing my hair shop to go look after my new born gal and am looking to sell the display head manikins. anybody interested plz email me. Am based in south East England, uk. I am seeking to start my own hair care line including containers/labels. How can I do so? We are launching Hairbond UK this summer. Our web site is www.hairbond.co.uk. Distributors wanted! i would like to distribute hair care products to salons. I also would like to know how i go about making and distributing my own hair products. I am interested in starting up a hair care line that is all natural. My biggest concern is the life span of the products how would i know what the shelf life would be? Hay i am looking to start up a wig and hair care products shop mainly for Afro and Indian hair, i have the start up capital and location and all that but dont have a clue where to find a wholesale supplier. could anyone help me with a supplier and advice. Hi I am looking for wholesale supplier to start-up my business. I am looking for human hair, wigs, braiding hair, hair care products, hairbows, baretts, relaxers..etc. Hi, My Name is Miss O and I have plan to open a beauty care products store. I want to carry wigs, Extension, weave and also hair accessories. I'm located in Ontario, Canada. I need some advice and Valuable information to how I'm going to go about the idea. And most importantly needs information on reliable wholesale distributors contact and website to further my feasibility studies. Thanks and God bless. Urgent!!! I live in Willingboro, NJ which is a predominately a black town. There are a couple outdoor and indoor markets in my area. My sister and I mixed some great all natural hair conditioning product together using shea butter... Can we just package it up in sellable plastic containers and go to the market and sell this product. It would be just like the shea butter ventors that just sell shea butter. My sister and i including my teenage daughter have tried this product and we really think its great. It promotes growth and make your hair feel soft and good. How to Start a Garage Business?